Within the glorious surrounds of the iconic Plaza Ballroom on Collins Street, Melbourne, “Truly Madly Deeply Melbourne – Part Three” was celebrated in shimmery sparkly style on Tuesday 20 March, 2018. 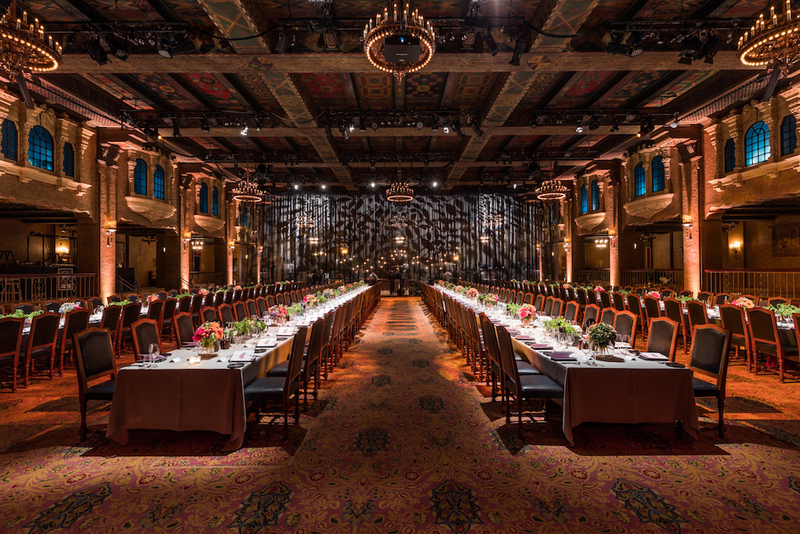 As the only night of the year that the Plaza Ballroom is open to the public, the thrill of occasion was palpable. 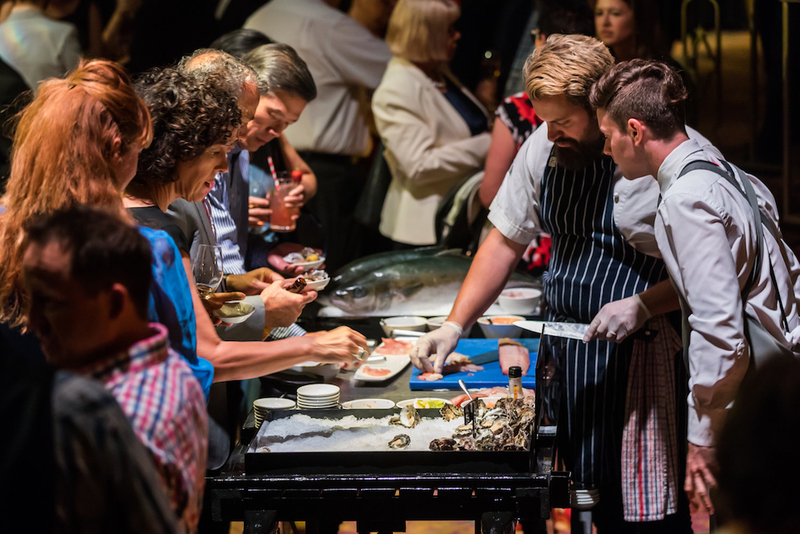 The night was the third instalment in the annual series – a hallmark event of the Melbourne Food and Wine Festival – and one that promised an indulgent evening of gastronomy filled with culinary delights to excite the senses and importantly, the palate. Embracing the Festival theme of ‘Community’, guests were treated to a food journey from the moment they stepped inside the venue, marvelling at the high ceilings, Juliet balconies, Spanish Rococo architecture, bespoke lighting and original chandeliers while sampling tantalising dishes from local producers and learning more about their craft. 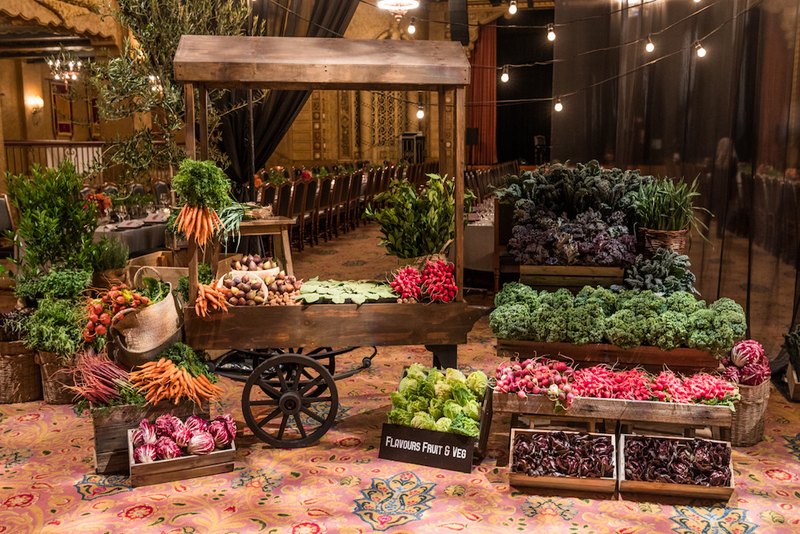 Once guests were seated, they were treated to four contemporary courses presented by the award-winning and hatted Executive Chef, David Ricardo, with menus that were inspired by the current food culture of Melbourne. Each course was matched with wines from the multi-award-winning Fowles Wines. The stunning dessert was encased in a marvellous delicate red cylindrical sphere of fairy tale red that you lightly cracked to reveal the deliciousness inside. During the night, guests also sampled and enjoyed craft beers from the award-winning Two Birds Brewing, who shared their unique style of brewing and their motivation to inspire one beer at a time with the audience. The live music and entertainment were the perfect accompaniment to the evening. 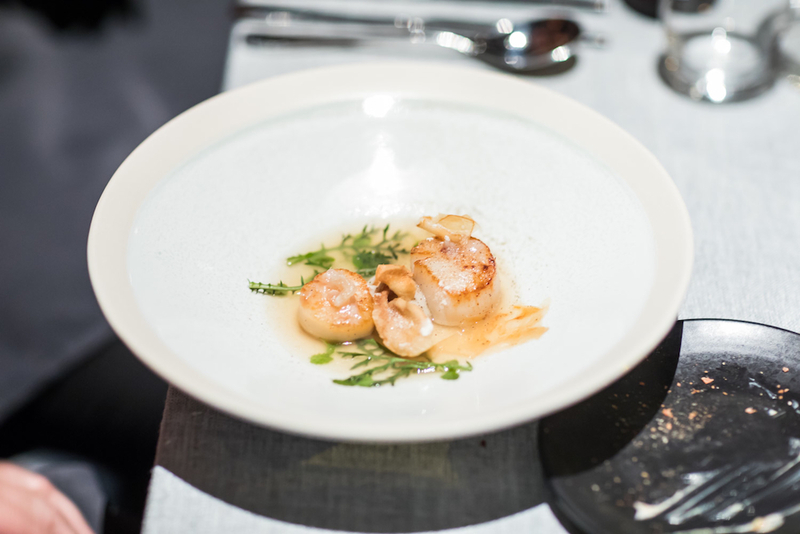 Lardo wrapped scallops with scallop dashi, Jerusalem Artichoke and yuzu. A post-dinner cheese grazing station packed close to overflowing with enormous rounds of Australian and French soft and hard cheeses, fruit and digestive style breads and fresh seasonal fruit had guests happily hovering around the table in pure delight. The Plaza Ballroom can cater for a wide range of events and accommodates between 200 – 1,200 guests, so whether you’re wanting to plan a spectacular gala dinner, an awards ceremony, cocktail event or corporate function, this breathtaking venue will ensure your event is out of this world.